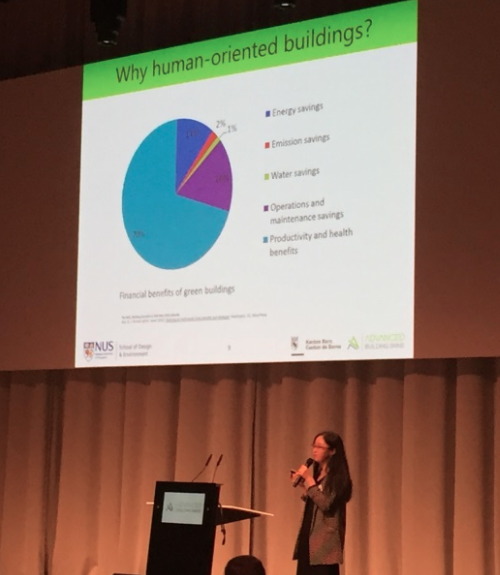 In light of Ivy Group’s own interest in the relationship between humans and the buildings they occupy, Bob appreciated Qianning Zhang from the National University of Singapore’s sharing of her research on the importance of human and building interactions. Her presentation, entitled “Active, passive or interactive? Human-building interactive façade system for behavioral change of occupants,” discussed how human behavior is affected by a structure’s environment, and pointed out how optimizing building environments for humans benefits human productivity. This topic is especially exciting for Bob as Ivy Group grows our involvement in the area of building environments and human performance. We can affirm Zhang’s assertion that building design and environment have a big impact on worker performance, and will soon publish our own case study highlighting how increasing human happiness and productivity through building design and other work environment improvements has contributed to revenue growth for our firm. Qianning Zhang from the University of Singapore shares research on the importance of human and building interactions. Various speakers discussed improving the energy performance of existing buildings through “deep renovation” interventions. Architects are taking an increasingly holistic approach to historic and urban renovations, often including building enclosure improvements in their designs to align existing structures with current energy efficiency standards. Bob noted that in Switzerland, architects are accountable for meeting efficiency standards in the buildings they improve and design. The discussion of performance improvements in existing structures harkens to Ivy Group’s work with the St. James Church for the Tampa Housing Authority’s Encore development. Encore is a neighborhood stabilization effort, “the city’s first LEED‐CERTIFIED GREEN mixed‐income, mixed‐use master planned community and will serve as a national model for sustainable urban brownfield redevelopment.” St. James Church was the only building still standing in this formerly blighted neighborhood, and our work on its renovation has included designing performance improvements such as those enumerated at the Advanced Building Skins conference. Dušan Fašung illustrates just how small nano-bio particles are in relation to organisms and particles with which it could come in contact. Here’s an example of a neat building skin innovation. 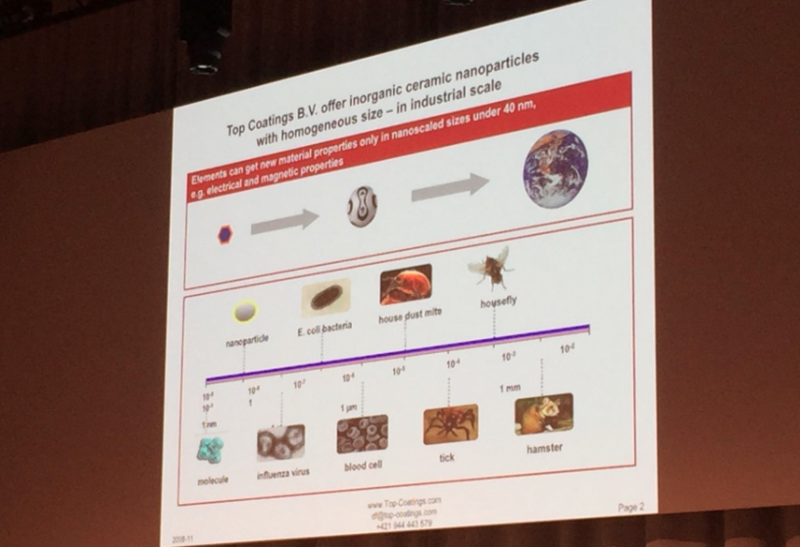 Dušan Fašung, founder of Top Coatings, discussed nano-bio coating technology. The particles in nano-bio coating, which can be applied even to glass, are so small that water, dirt, and other substances don’t stick, rendering cleaning generally unnecessary. Check out this video demonstration, in which spray-painted graffiti is pressure-washed right off a surface coated in the nano-bio coating. Nice! 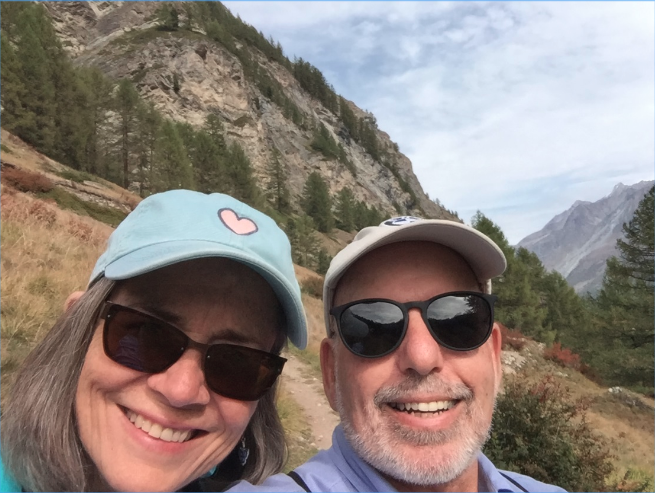 Of course, a trip to Switzerland would not have been as fun for Bob without his wife and travel companion, Patty!